TeX Live 2017 has received its final update just the other day and we are moving forward to start the period of testing leading up to the release of TeX Live 2018. 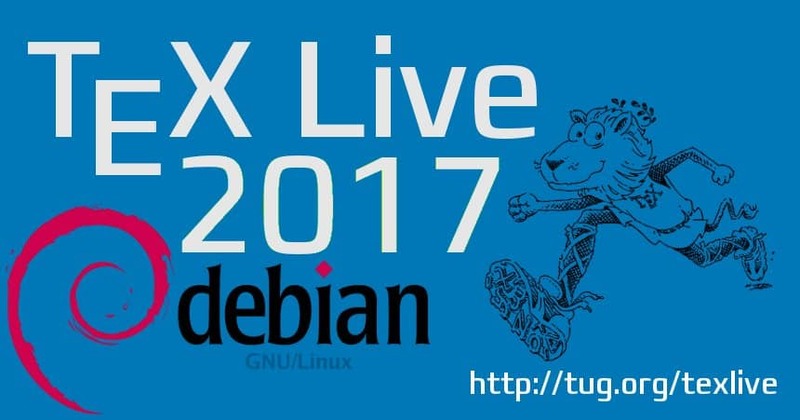 Thus, this release for Debian is also the last one based on the TeX Live 2017, and updates based on TeX Live 2018 pretest will hit experimental in the next days. This release does not bring too much new items, mostly a bug fix for upgrades from Jessie, plus the usual bunch of updated packages, see below. Baring any serious bugs, this will be the last upload to Debian/unstable for quite some time till, more specifically till TeX Live 2018 is released in about 2 months. animate, beebe, bib2gls, biblatex-publist, csplain, cyber, fei, fontawesome5, glossaries-extra, lshort-english, luaxml, mathpunctspace, media9, mpostinl, newtx, nicematrix, pixelart, polexpr, reledmac, rubik, thaispec, uantwerpendocs, univie-ling, xecjk, xint.